Professionals from the creative industry continue to play a more and more important role in the health industry. An example of this is seen in Moebio. It is a talent development initiative for professionals within health, biotech, business and design and it aims to foster entrepreneurship in the health sector. Kaospilot has co-designed the curriculum for the Barcelona-based initiative. 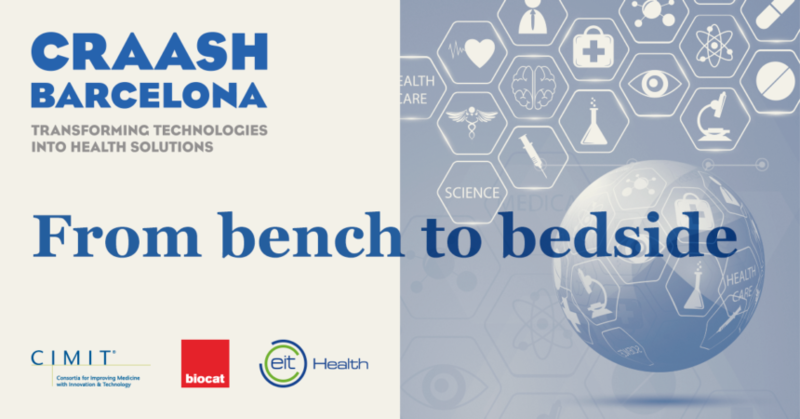 The Moebio program d-Health was started to strengthen the innovation in the Catalan healthcare industry. Behind Moebio is the organization Biocat that promotes initiatives to encourage research, innovation and business growth in the health- and life science sector in Catalonia, Spain. Biocat are strong in healthcare but needed some expertise within innovation, team building and educational design when they were to form the program for innovators in the healthcare system three years ago. Therefore they turned to Kaospilot who designed the first draft of the curriculum for the program. We have been very happy to be part of the development and delivery of this program. The program in its form and content is quite unique. Where entrepreneurship is key for innovation, creative leadership can really spur the thinking and mindset towards collaboration and enterprising behaviour, says Christer Windeløv-Lidzélius who is the principal at Kaospilot. The Moebio program is an industry accredited MBA which means that it supports the holistic development of executive, post and undergraduate educational programs that are driven by and with industry in alignment with social intelligence and their combined mindsets. 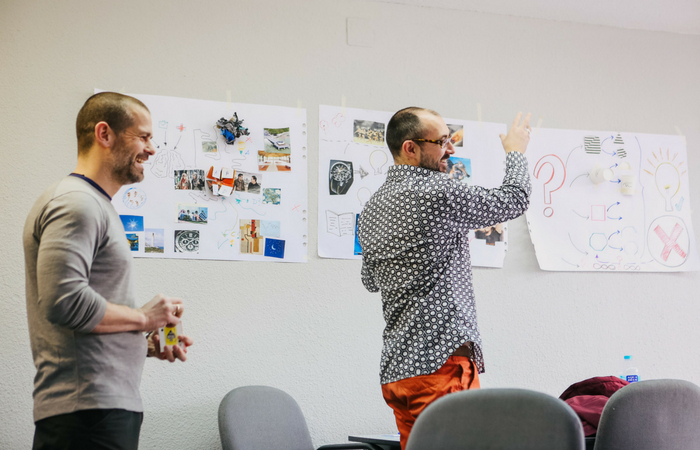 It runs for 9 months and during this time the participants go through several training programs within design thinking, co-innovation, creative leadership and team building. It is a mix of lectures and real experiences and the goal of it all is to promote entrepreneurship at the intersection of technology, life sciences, health and business. Kaospilot teach creative leadership and team building at d-Health. Working in teams is a key aspect of the program as all assignments are developed in teams. The work of Kaospilot helps the fellows at d-Health to understand the importance of team building and to have the tools for doing it, says Raquel Riera who is the Head of Innovation and Talent Development of Biocat and Program Manager of d-Health. She also emphasises the importance of leadership training as part of the program. As an entrepreneur leadership is a key skill and we think the approach of Kaospilot is different from all that the participants have done before. Additionally, the participation of Kaospilot is always a shot of motivation, says Raquel Riera. The participants at d-Health go together in teams that develop new products for the health sector. One of these projects resulted in the start-up Usmima. The team consists of a design engineer, a PhD in biological sciences, a telecommunications engineer and a PhD in molecular microbiology. They work on developing a non-pharmacological solution to chronic constipation. Another team is working with urinary incontinence and they are collaborating with companies to build their prototype. It is of course important that professionals with an education in medicine, biotech and engineering are part of the teams. But also professionals from the creative industry are needed in the teams that are to create the innovative solutions. The program includes the creation and development of the solution, be it a product or a service, and design people are very capable of thinking of these kinds of solutions. They also contribute in the observation phase in the hospitals, as they observe from a different perspective, says Raquel Riera.